Optimization techniques are the economic decision making tools that optimizes (maximizes or minimizes) the value of an objective function that satisfies the given constraints. Optimization techniques are a powerful set of tools that are important in efficiently managing an enterprise's resources and thereby maximizing shareholder wealth. For example, in a price-output decision making problem, one may be interested in determining the output level that maximizes profits. In a production problem, the goal may be to find the combination of inputs (resources) that minimizes the cost of producing a desired level of output. The common numerical methods of optimization are linear, Dynamic, quadratic, non-linear, integer, stochastic etc. programmings. 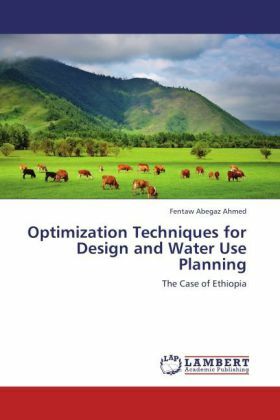 Hence, application of optimization techniques is of paramount importance for solving complex engineering economics problems.Therefore, it may use for scarce land and irrigation water resource allocation in mitigating the current climate change scenario and establish green economy.